select *, DATE_FORMAT(birthday, "%b %e, %Y") as _birthday, DATE_FORMAT(died, "%b %e, %Y") as _died, MONTH(birthday) as month_birth, DAY(birthday) as day_birth, DATE_FORMAT(birthday, "%b %e") as _birth_day_month from agatti_people where agatti_people.u_name = "lauren-bacall"
Shares birthday with Alexander Korda, Jerry Wald, George Chakiris see more.. 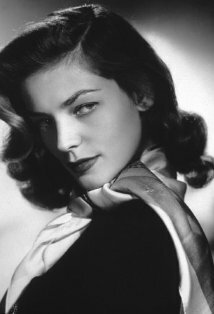 Legendary actress, Lauren Bacall, was born Betty Joan Perske on Sep 16, 1924 in New York City, NY. Bacall died at the age of 89 on Aug 12, 2014 in New York City, NY . Lauren Bacall was born Betty Joan Perske on September 16, 1924 to a middle class family in New York City. Her mother was a Jewish immigrant from Romania working as a secretary and her father was a salesman hailing from New Jersey. They divorced when their daughter was five years old. Upon the separation Bacall was given custody to her mother with whom she formed a very close bond. She did not see her father thereafter. After graduating from high school Bacall enrolled at the American Academy of Dramatic Arts in New York where she was classmates with a young Kirk Douglas. To make money, she worked as an usher and part-time fashion model. 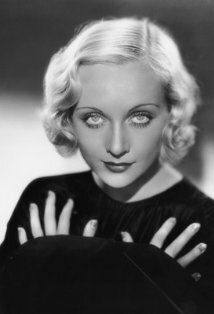 It was her work as a model that caught the eye of Nancy Hawks, Howard Hawks Wife, spotting her in Vogue magazine spread. Soon after, she arranged for Bacall to screen test for her husband's next film To Have or Have Not. Hawks was so impressed with the young actress that he signed Bacall to a seven-year contract, immediately educating the young star in manners, taste, and voice control - resulting in her distinct husky, masculine tone. In 1944, at the age of 19, Bacall starred opposite Humphrey Bogart in the filmic adaption of Ernest Hemmingway's To Have or Have Not. The film was a massive hit and, with much of that success owing thanks to the exceptional on screen chemistry of Bogart and Bacall. The film features of one of the most iconic quotes in film history, in which Bacall tells Bogie in her deep, husky voice: "You know how to whistle, don't you, Steve? You just put your lips together and...blow." Their steaming love affair continued even after the cameras stopped rolling and two were married soon after the movie'Âs premier in May of 1945. 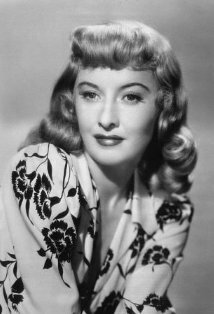 Bacall's fame skyrocketed, seemingly overnight, and Warner BrotherÃÂ¢ÃÂÃÂs newest vixen was immediately cast in the spy drama Confidential Agent opposite Charles Boyer. Although the film was not a complete box office failure, critics were not impressed and Bacall received some of the worst reviews of her life. 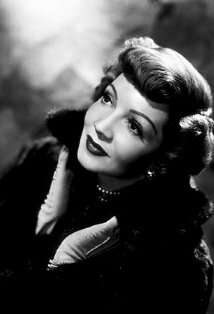 For her next film, she was reteamed with Hubby Humphrey Bogart in Howard Hawks The Big Sleep. Although some critics felt the film confusing and the plot convoluted, the film was resounding success at the box-office. She would again star with Bogart in 1947's Dark Passage. Although the film's narrative is trite and forgettable, it is notable for the use of first person point-of-view, with the first third of film shot from Bogart's perspective. 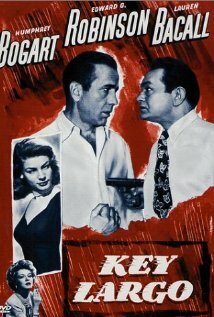 The next year, Bacall and Bogart starred in their final film together, John Huston's suspenseful Key Largo. As the new decade was ushered in, Bacall's time was split between her personal life and career. She took a two-year hiatus from the screen to concentrate on her growing family and in 1949 Bogart and Bacall had their first child, Stephen. Also during this time Bacall became involved of the realm of progressive politics, joining her husband in criticizing the anti-Communist attacks of the House Un-American Activities Committee. In terms of her career, Bacall grew more selective about her role choice, often turning down roles she found uninteresting or just plain bad. Her first film in two years was Michael Curtiz's Young Man with a Horn. The film was received well and proved Bacall'Âs star power was not directly linked with her husbands. That year she also starred opposite Gary Cooper in Bright Leaf. She took another three-year hiatus from the screen to concentrate on family and travel to Africa with her husband and John Huston to shoot his film The African Queen. Bacall returned to the screen in 1953. She starred in her first comedy with Marilyn Monroe and Betty Grable in How To Marry a Millionaire. The film was a smash hit and proved Bacall's talents as a comedic actress as well as a sultry vixen. In 1955, Bacall acted opposite Bogart and Henry Fonda in a live television performance of her husbands breakthrough play, The Petrified Forrest. The next year she starred opposite Rock Hudson in Douglas Sirk's lush, all-American melodrama Written on the Wind. The next year, Bacall once again demonstrated her skills as a comedic actress opposite Gregory Peck in Vincent Minnelli's fashion comedy Designing Woman. The film was a smashed hit and gave it's two stars some of the best reviews of their careers thus far. Despite the film's success, Bacall life at this point was consumed by tragedy. Although a consummate professional on while set of Designing Woman, Bacall was going through one her life's greatest struggles at home. Having been diagnosed with throat cancer, Bogart's health was drastic decline. Before Designing Woman was even released to the public, Bogart had succumbed to the disease and at the age of 30, Bacall was alone for the first time in her adult life. Following the death of her husband, Bacall lost much of clout at Warner Brother, as she and studio head, Jack Warner, had never seen eye to eye. He resented her split focus on family and career as well as her picky nature in regards to script. Bacall, on her end, didn't care what he thought. In 1958 she starred in the forgettable romance The Gift of Love opposite Robert Stack. Her next film, North West Frontier, was an English production filmed in India. The film proved very successful in England and was nominated for three BAFTA Awards. In 1960, Bacall starred in the Broadway play Goodbye, Charlie to good reviews. 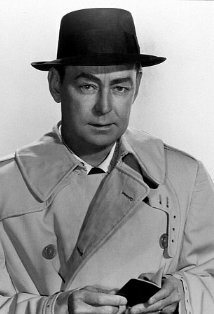 As the decade waned, so did Bacalls film career. She was seen sporadically and mostly on television specials. In 1963 she appeared in the series The DuPont Show of the Week and the next year she had a supporting role in Shock Treatment. Bacall starred opposite Paul Newman and Julie Harris in the action drama Harper. With her film prospects low, Bacall decided to shift her focus to the stage. In 1965 starred in Broadway Comedy Cactus Flower. It was resounding success that lasted over 1200 performances. In 1970, she played the legendary character, Margo Channing, in the musical version of All About Eve titled Applause. The play was a remarkable success with Bacall gaining excellent reviews from the critics. She then went on a nation tour of the play before taking it to London. For her efforts Bacall won the Tony for Best Actress in a Musical. Two years later she once again received great reviews for her role as Tess Harding stared in the Women of the Year. The next year she revisited the character of Margo Channing for the television adaption of Applause, garnering an Emmy nomination in the process. In 1974, after an eight year absence, returned to the silver screen star-studded Murder on the Orient Express along side Ingrid Bergman, Albert Finney, Anthony Perkins, John Gielgud, Sean Connery and Richard Widmark. Two years later she appeared opposite John Wayne in what would be his final film, The Shootist. In 1981, Bacall starred opposite James Garner in the The Fan. 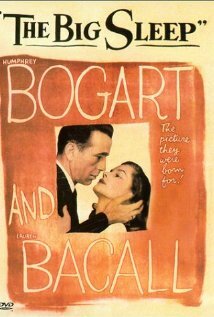 It was failure at both the box office and the papers, leading Bacall to once again take an extended hiatus from acting. She returned in 1988 with The North, a comedy directed by the son of frequent director/friend, John Huston. She began to appear more frequently on television in the 1990's, taking a small roll in the Rob Reiner film Misery. In 1996 She was directed by Barbara Streisand in the romantic-comedy The Mirror has Two Faces and was nominated for the Academy Award for Best Supporting Actress. The nomination was the first in her five-decade career. Although she did not win the award, she did receive both the Golden Globe and Screen Actors Guild award for her efforts. The next year she was a receipt of the distinguished Kennedy Center Honors. As the new millennium ushered in, Bacall began to take more risks and challenges with her roles. In 2003 she appeared Lars on Trier's star-studded experimental drama Dogville. In 2004, she appeared with Nicole Kidman in the controversial romance-drama, Birth. 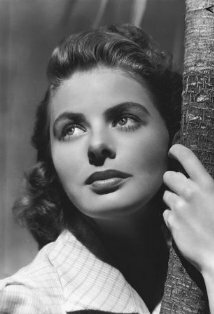 That year she also lent her voice to the Hayao Miyzaki animated adventure film Howls Moving Castle with fellow classic era actress Jean Simmons and Christian Bale. In 2005, she again worked with avant-garde director, Lars Von Trier, in Manderly. Most recently Bacall appeared with John Hutcherson and Alfred Molina in The Forger. She is also rumored to have role in the upcoming film-noir tribute Trouble Is My Business. Although Bacall was nominated for one Oscar, she never won a competitive Academy Award. 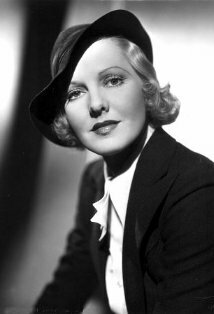 However she won one Honorary Oscar Award in 2009 in recognition of her central place in the golden age of motion pictures . Happy Birthday to me and ! Brant Royle: Sonia, it's Christmas! Sonia Kovac: You're not getting any presents from me. Sylvia Broderick: [to Frank] Are you asking meto go back to the same lousy life I had ten years ago before I had this lousy life? Those close to her call her by her real first name, "Betty". Actress Kathleen Turner has often been compared to Bacall. When Turner and Bacall met, Turner reportedly introduced herself to Bacall by saying "Hi, I'm the young you."